Report design samples featuring business and annual report designs. 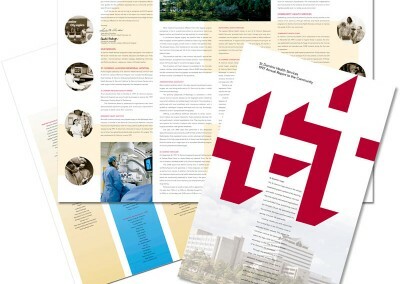 As graphic design professionals experienced in designing reports and corporate literature for companies across the globe, we take great pride in creating business materials that showcase your organizations strengths and benefits. Click on an image to see full project details.